You love dogs but you live in a small-sized home in the city? There is a solution to your problem. Some dog breeds are perfect for city dwellers and will feel well and stay happy and healthy even in the smallest apartments. We have come up with our ultimate list of the 30 best apartment dogs for you to choose from. Read on to find out more about these pups and why they are suitable for living in limited spaces. The other name for this dog breed may be Monkey dog but the truth is these little mustached cuties are absolute darlings and are perfect for apartment dwelling. The Affenpinschers reach a height of 9 to 11.5 inches at the shoulder and a weight of just 7 to 10 lbs. so they can live in small apartments and are portable pups which are easy to travel with. The dogs from this small sized breed are widely considered to be among the funniest canines in the world. They are also fearless and confident dogs which look a bit like the cute Ewoks from Star Wars and will always keep you entertained and smiling. These toy sized dogs are very affectionate and loyal companions, and even though they do require daily walks and playtime as well as regular brushing and combing, they will feel perfectly at home with you and your family, no matter whether you live in the country or in the busy city. For those of you who are concerned about their condo neighbors complaining about barking dogs, the Basenji could be the best solution possible. These African dogs are the only non-barking canines in the world. The Basenjis are quite unusual dogs with features which make them one of the best apartment dogs ever. They are small sized and will reach a height at the shoulder no more than 18 inches, and a weight of only up to 25 lbs. They prefer spending their days indoors grooming themselves very much like cats. They are clean animals and will take care that every single part of their bodies is perfectly cleaned up. Also, as mentioned above they do not bark. They do make some other strange sounds when they want to communicate with their humans or with other dogs, but at least your next door neighbors will never complain about endless barking. Although they are loving companions, keep in mind that they can get bored and become mischievous if you leave them unattended for long periods of time. These graceful hounds do need daily exercise and walks, but at home, they will be feline like companions. Beagles are most definitely one of the sweetest dog breeds out there. They are merry curious and friendly dogs which are among the 5 most popular breeds in the USA. The Beagle comes in a smaller and a larger version – one of which is below 13 inches, weighing less than 20 lbs., and the larger one about 13-15 inches high and with a weight of 20-30 lbs. but both types can comfortably live with you in an apartment. The dogs from this breed are excellent hounds and hunting dogs, so you will need to take them on walks where they can enjoy every new trail they smell. Beagles were originally bred to hunt in packs, so they do very well with other dogs, and also are very easygoing and loving companions for humans as well. With those adorable faces and cute Snoopy like characters, Beagles are natural charmers, excellent companion dogs and one of the best apartment dogs in the world, if you give them the walks and playtime they require. The Bichon Frise is one of the cutest dog breeds. These fun little fur balls reach a height no taller than a foot. They also shed less than other dog breeds, and thus are suitable for homes where there are people with allergies. These charming and beautiful pups do need to play, but given their size, you can easily play with your Bichon Frise indoors, even if you live in a small apartment. The dogs from this sweet little breed reach a height of only 9.5 to 11.5 inches and a weight of 12 to 18 lbs. Even though they look like fur balls, the dogs from this breed are pretty resilient and can have great personalities. Plus, they get along very well with kids and with other dogs at home. They are also curious and alert pups which make them excellent watchdogs which will inform you if a stranger is approaching but won’t show aggression. The Bichon Frise pups are superb little dogs for apartment living because of their size, their character, and their hypoallergenic non-shedding nature. The Bolognese is another small-sized dog breed which is among the best for apartment living. These compact companion dogs first originated in Italy. They are faithful, calm and easy going dogs which love human company and adore their human families. The size of the Bolognese is about 10-12 inches at shoulder height and about 5.5 to 9 lbs. in weight. These fluffy playful dogs make perfect pets for dog-lovers who live in the city in small apartments. In Roman times, the dogs from this breed were popular companion dogs among the rich and the powerful. They are pretty calm and sedentary at home when their humans are home, but the Bolognese dogs are prone to separation anxiety, so if you and your family are all out during the day every day, this breed may not be the best choice for you. Yes, the Border Terriers do have a strong hunting instinct and can feel the urge to chase any squirrel which crosses their paths, but otherwise, these affectionate and happy dogs are one of the best apartment dogs too. If you have the time and the energy to walk and play with your Border Terrier on a daily basis, you will have a pet which feels and behaves perfectly even if you live in a small apartment in the middle of a busy city. The Border Terriers have very specific Otter-like heads and typical terrier structures. The dogs from this breed reach a height at the shoulder of 12 to 15 inches, and a weight of 11.5 to 15.5 lbs. Even though they have impressive wiry coats, the Border Terriers do not require too much grooming and maintenance. They come in different colors, including red, wheaten, blue and tan or grizzle and tan. They may be hardworking terriers, but at home, Border Terriers are very affectionate and well behaved when trained properly. They will become best friends with your children as well as with your other dogs pretty quickly. The Boston Terrier is yet another dog which is perfect for apartment and city dwelling mostly due to its small size. The dogs from this breed are only about 15 to 17 inches high and weigh 12 to 25 lbs. Like other terriers, the Boston Terriers can be pretty lively and hyperactive, but you can keep them happy and well-behaved indoors if you can provide them with brisk walks and some exercise on a daily basis. The Boston Terrier is also known as the American Gentleman dog, due to the sweet and unique tuxedo like pattern on its coat as well as thanks to its excellent manners. But not only do the dogs from this breed look great, they are also very friendly, gentle and loving animals and pets. Named after the city of Boston, the dogs from this fun and kind breed are excellent pets for city dwellers and for apartment living. 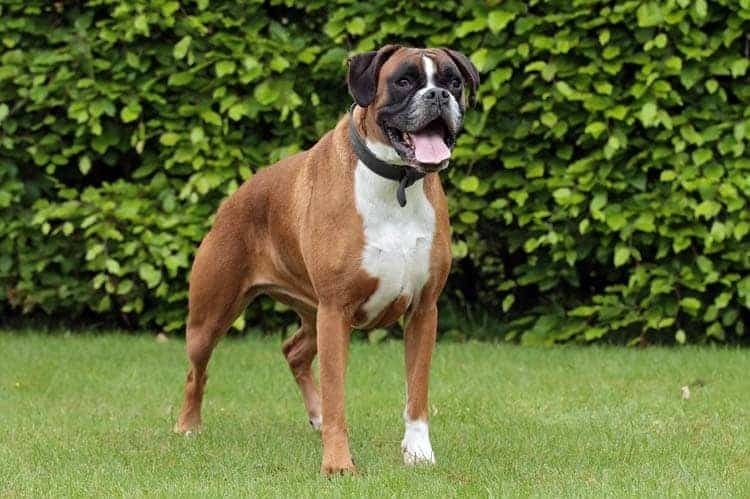 Boxers may not seem like the typical apartment dog breeds but these fun-loving and bright canines are actually pretty adaptive and will feel perfectly well both in a large house in the countryside, as well as in a small apartment in the city. They are active dogs which reach a height of 21.5 to 23 inches and a weight of 50 to 80 lbs. and are among the top 10 most popular dog breeds in the US because they are the perfect combination of good looks, intelligence, fun, loyalty, and excellent work ethics. These muscular dogs are a pleasure to look at. Their cute and alert faces will charm just about anyone. They move smoothly and elegantly but are powerful canines which are superb watchdogs and playmates for your children. Plus they are fearless and quite capable watchdogs which will keep an eye on your apartment and on your family at all times. These amazingly cute toy dogs with human-like expressions and lively temperaments are a pure joy to have as companions, even if you live in a tiny apartment. The Brussels Griffon will reach a height of just 7 to 10 inches and a weight of 8 to 10 lbs. so you can take it everywhere with you and you can share a tiny space with your four-legged friend easily. The dogs from this breed get attached to their humans very quickly and develop strong bonds full of affection and love. They love snuggling which is perfect for people living in tight spaces. Even though they are tiny-sized and funny looking, the Brussels Griffons have great personalities and quite complex characters, which make them excellent and fun companions to have. They can be quite comic but are also very smart and devoted dogs which will bring joy in your life no matter where you live. Please note, that due to their tiny size, they are not suitable for kids who enjoy roughhousing. Also, Griffons do not like being alone, so if you are away a lot, you better choose another dog breed or think about variants for taking your pup with you wherever you go. Lazy and easy going Bulldogs are the epitome for apartment dogs. These amazing dogs are actually very gentle and loving pets which will be loyal and affectionate to you, but the truth is, what they love most is to sleep, snore and just do nothing all day long. Of course, they do need to go on walks every day, but during the rest of the time, they will definitely prefer to snuggle up in their beds or next to you and just sleep. Bulldogs are usually 14 to 15 inches high at the shoulders and weigh up to 50 lbs. They are friendly and kind dogs, and at the same time are dignified, tenacious and courageous canines. The Bulldog is one of the most recognizable dog breeds in the world with the pushed in short snouts, the loose skin on their heads, the undershot jaws and the very distinctive rolling gaits. Even though they are not traditional lapdogs, don’t be surprised if your Bulldog attempts to take a nap on your lap. These dogs do well both in large houses as well as in smaller apartments but need to be kept inside in an air-conditioned room when it is too hot or humid outside because they may experience difficulty breathing. The Cairn Terrier is a curious little earth dog which loves to dig and explore, but will also feel perfectly well inside sharing your apartment with you. These cheerful and alert pups reach a height of just up to 10 inches and a weight of only 14 lbs. so they are compact enough to travel with and to snuggle with you in your small sized home. These small sized terriers have shaggy double coats, small pointed ears, and smart and bright eyes. All of this combined with their short legs, long bodies, and wide heads make them absolutely adorable. Some Cairn Terrier owners and fans stand by their claim that the Cairns are the best little friends in the world, and we are prone to believe them. They are small enough to enjoy a snooze on your lap, and yet are sturdy and energetic dogs which will enjoy a nice long walk or playtime outdoors as well. With their independent thinking, their loyalty and their cuteness, these dogs are superb companion dogs for all kinds of people, even those living in the big city. The dogs from this toy sized breed are gorgeous and compact, plus they get very attached to their owners, so they will want to snuggle in your lap or near you at all times. with a height of only u to 12-13 inches and a weight of 13 to 18 lbs. you can comfortably house a Cavalier King Charles Spaniel even in the tiniest of apartments. These graceful, regal like little pups are very gentle and affectionate. Having the blood of sporting spaniels, the dogs from this breed do need to take long walks and require some playtime or other exercising outdoors, but otherwise, they can easily adjust to all types of homes – large or small. 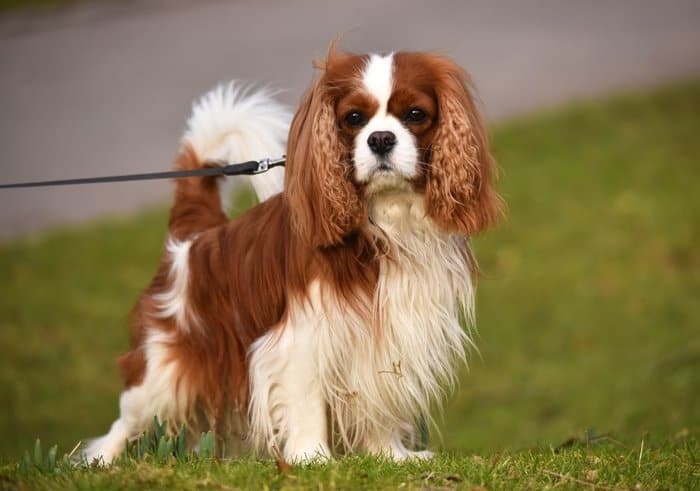 With its expressive large round eyes, and its sweet and gentle demeanor and overall beauty, the Cavalier is one of the best pets for urban dwellers and one of the best companion dogs no matter whether you are an active person or if you rather prefer to spend your time at home. 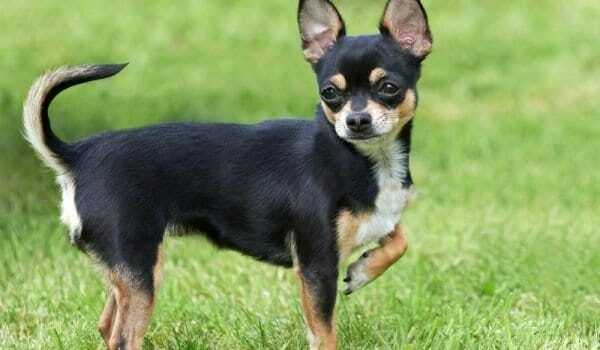 The Chihuahua is the smallest of all dog breeds, so it comes to no surprise that it is a preferred pet for small homes and for people who want to take their dog everywhere with them. In adulthood, a Chihuahua will weigh only up to 6 lbs. and will grow to a height of just 5 to 8 inches. Even though these Mexican dogs are tiny, they can have large dog personalities and are distrustful to strangers. So even though they are the epitome of “purse dogs” you should take the time to socialize them, and always supervise them when they are in contact with strangers and with unfamiliar dogs too. With their large heads, erect ears and shining eyes, the dogs of this breed are incredibly cute. They are charming and loyal pups, but due to their Napoleon syndrome which makes them feel like they are large sized dogs, you will need to socialize and train your Chihuahua from an early age. They are highly adaptable pups, and they are so compact that you can care for a dog form this Mexican breed even if you live in a very small apartment or room. The Chinese Crested is one of the most recognizable canine breeds. The dogs from this unique dog breed are perfect for apartment living for a number of reasons. First of all, the Chinese Crested is no taller than 11 to 13 inches, and weighs only about 8 to 12 lbs. so it is compact enough to live comfortably and happily even for the smallest homes. Also, the Chinese Crested is a remarkably laid back dog which has the ability to rest and snooze all day long, so you won’t need to spend hours outdoors walking or playing with your dog, or have to entertain it inside. The best part about these hairless dogs is that shedding as well as dog odor is not a problem with them, so they are excellent pets for apartments, even if there are allergic people in your household. The dogs from this toy breed are slender, lively and sweet, and will quickly become attached to their owners and show their affection at all times. The Cockapoo is the first of the designer breeds, developed back in the 1960s, and is one of the most popular among all cross breeds these days. Developed by crossing two of the most beloved breeds – the Cocker Spaniel and the Poodle, these cute dogs are low shedders, have merry temperaments and are very smart. The Cockapoos can vary in size and character depending on its parents, but overall Cockapoos are one of the best dogs to choose as pets if you live in an apartment in the city. With one parent being a Poodle, it comes to no surprise that Cockapoos are very smart and easy to train. They are affectionate and forgiving pups which will love being petted and sleeping on your lap. The happy and merry attitude and characters of these lovely dogs are inherited from their Cocker Spaniel parents and ancestors. Still, these dogs are very happy and lively animals which will love playing with other dogs and with children. They don’t require as much grooming as Poodles and you won’t have problems with cleaning hair from your furniture with a dog from this designer breed. If you live in a very small home without a backyard, it is a good idea to opt for the smaller Cockapoo versions, rather than for the standard or maxi size ones. The frolicsome and merry Cocker Spaniel has been one of the most preferred companion dogs for years. These pups with dreamy eyes and mischievous personalities were first developed as bird hunting gundogs, but today, the Cocker Spaniel is mostly preferred as a companion dog instead. The Cocker is the smallest of all Sporting Spaniels and reaches a height at the shoulder of up to 15.5 inches and a weight of up to 30 lbs. so it is a medium sized dog, but it is still an excellent choice for a pet if you live in an apartment. The dogs from this breed will quickly become friends with your children, and will also enjoy running, hiking and spending time outdoors with you. Still, if you manage to provide your Cocker Spaniel with the brisk walks and some playtime it needs, it will feel perfectly happy to reside with you and your family even if you don’t live in a big mansion. These small sized fluff balls are actually happy go lucky dogs which are perfect for pets even in apartments. They are very compact pups with a height of just 10-11 inches and a weight of up to 15 lbs. The Coton de Tulears also have beautiful white coats which are easy to care for and do not require a lot of maintenance and grooming. The dogs from this breed have low energy needs, and although they will enjoy going on a walk with you and playing with you outdoors, the Coton de Tulears will also not mind spending all day long at home too. These bright and charming little dogs have a long life expectancy of 15 to 19 years and are perfect companions. They are natural clowns and will love entertaining you and your family, as well as walk around the house with you wherever you go. With their cotton-like soft white coats, cute little faces, and amusing and affectionate nature, Cotons are one of the best companion dogs for all kinds of owners and families. Dachshunds are actually excellent hunting dogs and are the smallest of all hound dogs, but they are also great dogs to adopt even if you live in an apartment building. These lively and incredibly adorable dogs will bring joy to you and everybody else even just by looking at them with those long bodies, short but sturdy legs and the unique waddle like gait of theirs. Dachshunds are only up to 9 inches high at the shoulders and weigh up to 32 lbs. but you can opt for an even smaller version as well and go for a Miniature Dachshund which will grow to a height of only up to 6 inches and weigh less than 11 lbs. as well. With their famous silhouettes and their smart and alert expressions, Dachshunds will inevitably bring a smile on everybody’s face. The big personality and the vivaciousness of the dog from this breed are about as typical for Dachshunds as their unique long body and short legs. Dachshunds can be smooth coated, long-haired or wirehaired. They bark like big dogs and will be happy to join you on any adventure which doesn’t require too much leaping or long running. These small dogs with big personalities will make life at home much more fun, even if you live in a small home. Despite the name of this breed, French Bulldogs were actually first developed in England with the intention of creating miniature Bulldogs. Frenchies are small-sized and reach a height at the shoulder of up to 13 inches and a weight of up to 28 lbs. Like Bulldogs, they have low activity needs, and they rarely bark without a good reason. All of these factors make the Frenchie one of the best dogs for apartments and small homes with neighbors nearby. French Bulldogs are among the top 6 of the most popular dog breeds in the US, and it comes to no surprise given the fact that they are exceptionally cute, rather small, and do not require strenuous exercise and very long walks in order to feel happy and content. They are playful and loving dogs, which are extremely cute thanks to their bat-shaped protruding ears and their adorable Bulldog like figures and demeanors. The dogs from this adorable breed are one of the most popular ones for city dwellers, also because of the inborn friendliness and their adaptability to all kinds of homes and owners. This native Cuban dog breed has become very popular in the US and around the world due to its small size, incredible charm, and vivacious character. Sometimes, the Havanese dogs are referred to as “Velcro dogs” because they will prefer to stay close to their favorite human at all times and over everything else in the world. Even though these small dogs don’t mind spending the day indoors with their humans, they are playful and energetic pups which will also enjoy some playtime and games outdoors with their owners as well. The Havanese is a toy sized dog breed, with a height of only up to 11.5 inches and a weight of up to 13 lbs. These cheerful little Cuban canines are highly sociable pets and faithful companions. They have gorgeous silky coats which you can choose to clip short or leave it long and even cord it like the coat of a Puli. They are small and yet sturdy pups which adapt easily to all kinds of settings and people and are extroverts who love meeting new people. They are also very easy to teach and train, and you can enjoy teaching your Havanese new tricks every day and it will enjoy performing them for you and your friends. Japanese Chins are excellent dogs for apartments because they are easy to maintain and groom, have low exercise needs and can easily adapt to all kinds of homes and settings. The Japanese Chin is a small sized dog which reaches a height of up to 11 inches and a weight of up to 11 lbs. The dogs from this breed are very agile and are known to be able to jump on tall furniture just like cats. The dogs from this breed are noble, charming and graceful, and in fact, they are as close to felines as a dog can get, so they are definitely one of the best apartment dogs out there. Their luxurious silky coats give them a dignified and aristocratic look, and the mane on the neck along with the hairy pants and their overall exotic appearance is very typical of the Asian companion lap dog breeds. Being very cuddly, indoorsy and cat-like, Japanese Chins are among the top preferred dog breeds for city dwellers that prefer spending their time at home. The Maltese is a very old dog breed, which has been highly regarded as a preferred companion dog for more than 2,000 years. Due to the lack of an undercoat, the Maltese is a low shedding and thus hypoallergenic dog. This is great news for people with dog allergies and those who live in small spaces. The Maltese dogs are very affectionate but unfortunately are prone to suffer from separation anxiety if left alone for long, so they are suitable pets for those of you who prefer to stay at home or for those working at home. These small dogs reach a height of up to 9 inches only and grow up to weigh up to just 7 lbs. so they are very portable lap dogs. Even though they are low shedders, the Maltese have very beautiful floor length coats which will grab everyone’s attention when you go out on a walk with your four-legged friend. Adaptable, playful and compact, the Maltese is one of the best dogs to get if you live in a busy city and in an apartment where space is limited. The Miniature Pinscher resembles a tiny Doberman and is also as energetic and as confident as its large sized cousin – the Doberman Pinscher. The dogs from this toy breed are up to 12.5 inches high and weigh up to 10 lbs. They are perfectly sized for living in an apartment but keep in mind that they will need to be trained and socialized from an early age if you want the Pinscher to get along with your children or other pets without any conflicts and problems. These long-legged toy dogs are true personality dogs with recognizable hackney gaits like little horses, and with fearless and proud characters. With proper socializing and training, the Mini Pinscher can become the perfect pet for owners and families who live in the city. The Poodle is one of the top 3 most intelligent canine breeds of all, so if you want a smart and quick learning canine friend, the Poodle is the way to go. If you have limited living space, you should probably opt for a Toy or Miniature Poodle, because Standard ones can grow to be quite large and to weigh up to 70 lbs. Poodles are not only gorgeous looking canines, but they are incredibly easy to train, exceedingly smart as well as excellent athletes. The toy and miniature ones can easily spend their energy by walking and running around inside, but the Standard Poodle does require quite a bit of exercise and long walks. These aristocratic dogs can reach up to more than 15 inches in height for the Standard versions and only up to 15 inches for the miniature and the toy versions. Poodles are among the top 10 most popular and preferred dog breeds in the US, because of their beauty, versatility, athleticism and their intelligence. They do require quite a lot of grooming and clipping, but are low shedders and are considered one of the best hypoallergenic breeds for people with pet allergies. With their easy to distinguish cute and squished faces, and their small sized sturdy little bodies and curled tails, Pugs are absolutely adorable dogs. They develop a strong bond with their human parents and prefer to tag along at all times. This can make them inappropriate for people who work a lot or spend a lot of time traveling. Pugs are not loud or yappy, so you shouldn’t have problems with your neighbors even if the walls are thin. These dogs require very little exercise and activity, so they are superb apartment dogs for people who prefer leading a more indoorsy and sedentary life. The Pug is about 11 to 13 inches high and can weigh up to 18 lbs. they are toy dogs which were used as companion dogs by the Ancient Chinese Emperors and lather were imported to the Netherlands where they became the royal mascot of the House of Orange. Pugs are a much-loved dog breed and will happily give the same amount and even more love back to a loving owner, no matter where he or she happens to live. The Pekingese is yet another Asian companion dog which has made it into our list of the best apartment dogs. This small sized dog will grow to a height of only up to 9 inches, and a weight of up to 14 lbs. This dog breed does well even in the smallest apartments, but only if it is the single dog in the household. If you have other dogs or pets, you should proceed to socialize your Pekingese from day one, if you want to live in peace and harmony with all of your favorite animals. Like the other ancient Asian dog breeds on our list, the Pekingese has a regal-like figure and a highly recognizable rolling gait. The breed is one of several created as companion dogs for the Chinese Emperors and other royalty. These small dogs are loyal and affectionate but can be somewhat independent. They get along with kids but don’t do so well with roughhousing, so make sure you teach your children how to play and communicate with the dog early on if you want peace and quiet at home. The Shih Tzu is another Asian dog bred specifically to be a good companion and lap dog for the royalty and ruling class. Shi Tzu’s are small enough to fit apartments of all sizes. The dogs from this breed will reach a height of only up to 10.5 inches at the shoulder and a weight of up to 16 lbs. They are very friendly dogs who get along even with strangers, with children and with other pets. These cute little Lion Dogs are becoming increasingly popular companion dogs for city dwellers. Even though their gorgeous silk coats require quite a lot of grooming, the end result is absolutely worth it. Shi Tzu’s don’t mind spending all day indoors, and will actually love spending hours napping on your lap or sleeping and cuddling beside you instead of yapping and wanting to go outside. Toy Fox Terriers are very smart dogs which are easy to train. They are also small-sized which is another reason why they are one of the best apartment dog breeds. The Toy Fox Terrier loves cuddling but however cute it can look while it is sleeping on your lap, it does require daily exercise as well. These alert and intelligent dogs are about 8 to 11.5 inches high, so they are compact and portable dogs. The breed was originally developed for barnyard ratting, but today these dogs are mainly preferred as companion dogs and family pets. The dogs of this breed are beautiful and are affectionate lap dogs, but at the same time have the typical terrier tenacity as well. With a Toy Fox Terrier at home, there will never be a dull moment again. Poms are undeniably one of the cutest dog breeds, but apart from looking like furry plush toys, they are also highly energetic and feisty little animals. Pomeranians do require daily walks and playtime, and they are not as overly dependent as some of the other toy breeds, so they are superb pets for active people and for those who do not spend all of their time indoors. One potential problem with the dogs of this bold little dog breed is that they are barkers, so you will have to train them early on in order to curb the unwanted unnecessary barking which can disturb you or your neighbors later on. These small sized fur balls are only up to 7 inches tall and weigh less than 7 lbs. Pomeranians require weekly brushing of their fluffy coats but are absolute charmers and excellent companions so the extra care and exercise is absolutely worth it. With their smiling foxlike faces, Poms manage to melt the hearts of everybody around them. They are intelligent and alert little pups which are excellent pets for city dwellers and all kinds of families, as long as the kids are taught on time that you actually have a dog and not a plush toy. What would this list of the best apartment dogs be without the Yorkie? Yorkshire Terriers are among the top 10 most popular breeds in the country. They are small sized, and can easily get the exercise they need indoors even if you live in an apartment. The only potential problem with this small dog breed is its inborn suspiciousness to strangers as well as its yappiness. With proper training and socialization from an early age, these unwanted behaviors can easily be curbed. Yorkies are about 7 to 8 inches tall and weigh up to 7 lbs. They may be toy sized, but don’t forget that these cute pups are terriers. In the past they were used as efficient rat chasers in mines, and only later on did they become preferred lap dogs by the royal ladies in Victorian England. Their silky human-like hair can reach the ground and is most commonly steel blue or golden tan in color. Due to the nature of their hair, Yorkshire Terriers are considered one of the best hypoallergenic dog breeds. These bossy little dogs are brave and feisty, but they are also very loving companions and will keep you entertained at all times. As you can see, even if you live in the middle of a busy city and in a small sized apartment, this shouldn’t stop you from adding a dog in your life. Some dog breeds are more suitable for apartment living than others. We hope that we have helped you narrow down your choice for the most suitable dog for you. Remember that choosing an appropriate dog breed for apartment living is not only for your convenience but for the wellbeing and health of your canine friend as well. Good luck with your choice, and thanks for reading our extensive list of the best apartment dogs for 2019!